If there was a theme for the world exclusive debuts this year it was that off-road power is in. Dodge unveiled an all new Ram with upgraded size and space but more than that it has far more capability when it comes to off-road driving than ever before. The sweet science behind it includes all new front and rear electronic locking differentials work in tandem with an electronically disconnecting front sway bar. It’s positioned in such a way that gives it 14.3 inches of ground clearance and 26 inches of suspension travel. One look at the new “Rebel” front grille and exterior colors and graphics and you’ll know that this isn’t last year’s Ram at all. Inside lurks a re-designed 6.4-liter Hemi V8 pushing 410 horses at 429 pound-feet of torque. For those that buy these types of cars to use all the way, that means the new Ram can handle towing 10,030 pounds. Kia is standing out from other automakers with a line of SUVs by focusing on making theirs a unique hybrid model. They call it the Niro and while it only packs a 103 horsepower, 1.6-liter four-cylinder engine with, the addition of a 43 horsepower electric motor powered by a lithium-ion battery pack give it mobility up there with their competitors. Overall, despite the mere 146 horsepower, 195 pound-feet of torque, the remarkable fuel efficiency of 50 mpg makes the investment worthwhile for people looking for a Hybrid outside of the usual spots. Despite the small stats it has a 6-speed dual-clutch transmission which makes for a fun driving experience and we’d be remiss if we didn’t point out how good the car actually looks. Nissan’s self-driving technology was great and all but we were truly impressed with their redesigned Armada. You really get the sense of how Nissan really stepped up to bring us an all new kind of SUV. The car is ENORMOUS, accentuated by the elevation it gains on a completely re-designed and robust platform. What’s amazing is how the measurements show off that it actually isn’t dramatically larger than last year’s Armada. It’s the revamped exterior and interior that gives the felling of the Armada being the bigger and bolder incarnation. At the heart of the car is a 5.6-liter V8 packing 390 horsepower and 401 pound-feet of torque connected to a 7-speed automatic, it’s a huge upgrade to the 317hp from last year. If Nissan is set on using Armada to compete with GMC or Hummer, they certainly have their work cut out for them. The new Armada is a true force to be reckoned with when it comes to large and premium SUVs. Toyota Racing Development gives the Tacoma’s off power a sense of agility and sportiness that separate it from other SUVs, crossovers and trucks. The brand “TRD Pro model” pushes the capabilities of this truck with a full-inch lift via heavily upgraded shocks and springs. The 16-inch wheels with use kevlar tires (but don’t test if they are bulletproof), a sharper aluminum skid plate, a totally redesigned LED exterior light system a plethora of TRD-designed and branded exterior and interior components. Toyota is making sure that drivers never forget the lineage of the Tacoma or that they are driving a car every bit fit for motorsports as it is for hauling loads through harsh conditions. We’ve talked about Chevy’s past Camaros and the attempt to bring us a new one, some of which were trapped in the concept car phase. Hopefully we’ll see the Chevrolet Camaro 1LE in the public sooner rather than later or not at all. This new Camaro has a very interesting aerodynamic design to help drivers really all 335 horses granted by the V6 in the base model For those who opt for the V8 edition you’ll feel 455 horses of Detroit muscle. Chevrolet promises a track-focused 1LE package for both engine options. What that entails is a stiff suspension ( staple of muscle cars), an upgraded drivetrain cooling system, exclusive interior components, a distinct dual-mode exhaust system but most noticeably it includes visible aerodynamic improvements that streamline this beast into something fierce and agile. 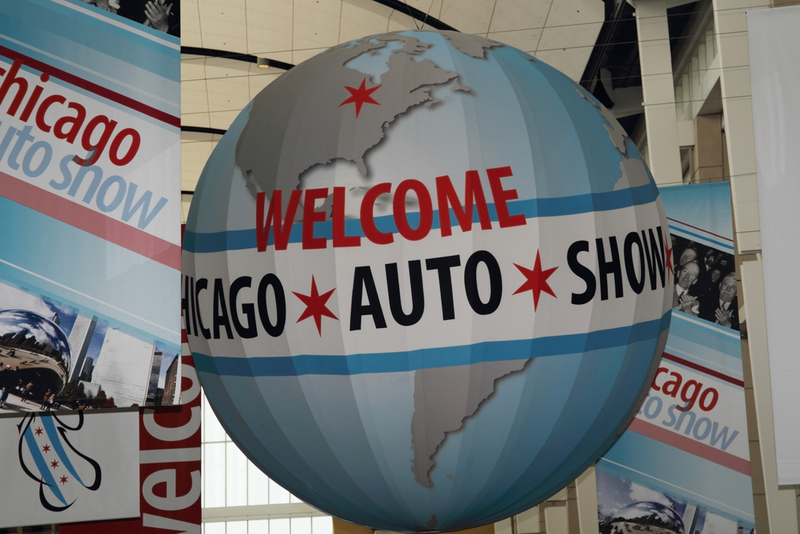 From new hybrids, trucks, SUVs and redesigned muscle, the Chicago Auto Show gave us so many new cars to salivate over. We certainly cannot wait until February 2017 to see what lineups the automakers will have for us, but until then, we’ll just continue to soak up the greatness debuted at the 2016 show. What were your favorite debuts? Let us know in the comments section below!